So fun to see these projects!! 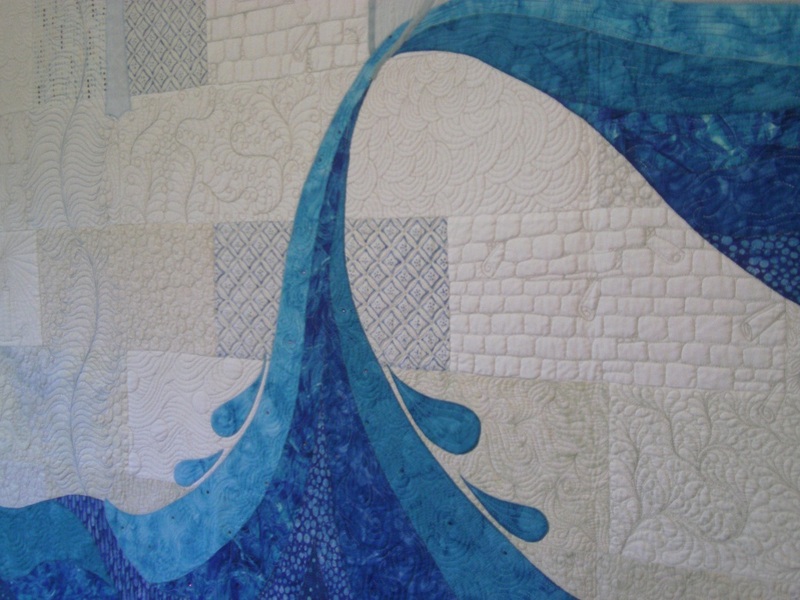 Everything you quilt is wonderful, Amy, even on the longarm. I too tried longarming, didn't like it, and mine didn't look nearly that good! Good for you to do commission work. 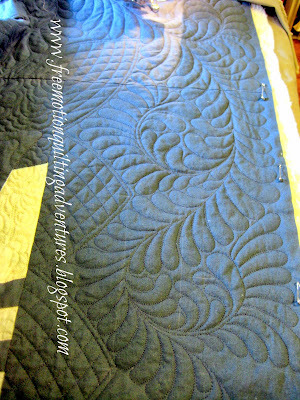 I have a hard enough time making myself quilt my own quilts that I can't imagine doing them for someone else! Hope you have a nice time away. It is fun to see how your quilting has progressed. I, too, have been toying with the idea of a long arm. It would be nice to have a dedicated quilting machine, as you said, to enable switching back and forth without altering setup. 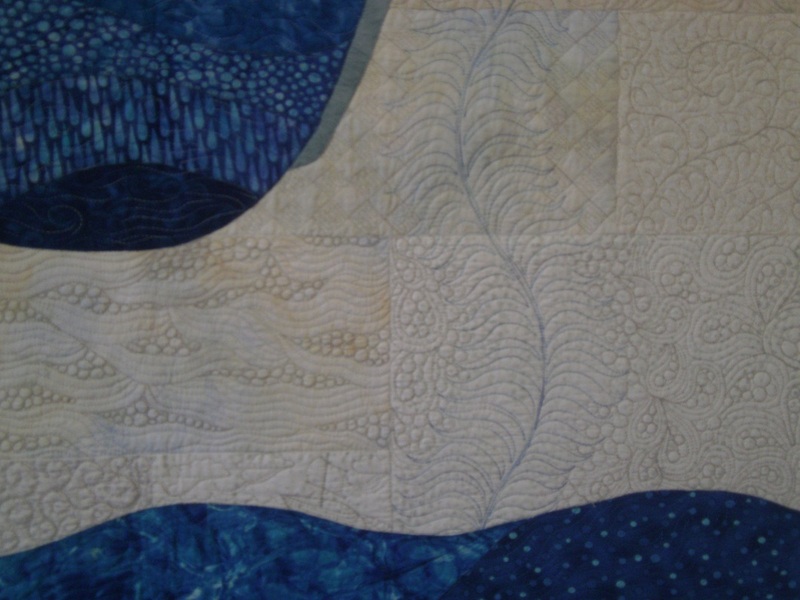 I would also love to skip basting by using a frame with a long arm, and be able to quilt really big pieces (like the King quilt that I've been paper piecing currently) without having to deal with the bulk and weight of the quilt under the needle of my DSM. But alas -- long arm machines are priced like CARS!